After reading around online, there seemed to be lots of praise for the R4i cart from R4. 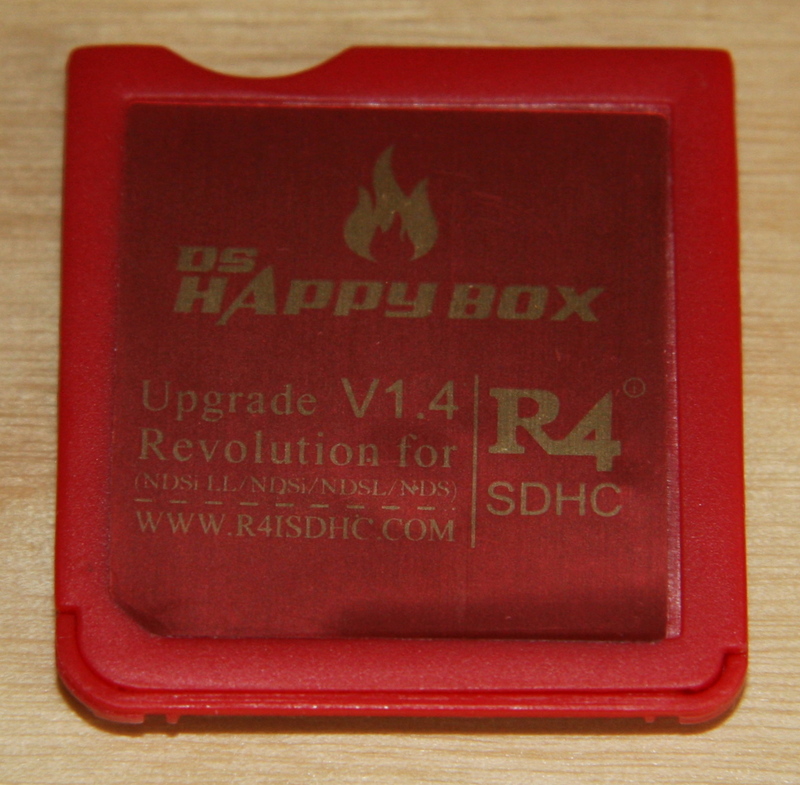 Based on further recommendations of trustworthy service (important when there are reportedly so many clone cards on the market) I purchased an “R4 R4i SDHC” “R4i Standalone Card” from memorycardzoo.com. Following this, I later ordered an “Acekard 2i” from r4i.co.uk – mainly on the basis that they also guaranteed original cards, and (with a special offer) were cheaper than other suppliers. 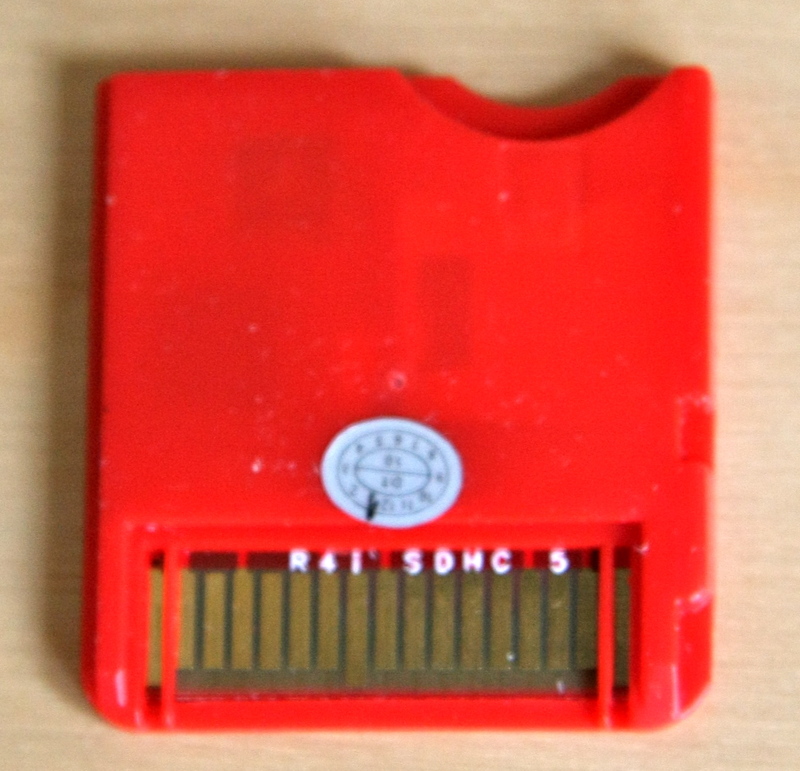 It appears that the original manufacturer of the R4 and R4i cards stopped producing these some time ago, allowing a host of copy-cat offspring to launch onto the market, all claiming to be “genuine”, “official”, and sometimes even “original”. 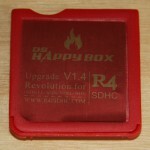 These cannot use the R4(i) firmware, and are often cost-reduced clones. From my (admittedly limited) experience, they seem to suffer in terms of hardware compatibility and software functionality. The AceKard development team are fast and reactive with firmware updates (there are still some big-name flash karts for which current Nintendo firmware support is still pending), the AKAIO user-interface is modern and flexible, and the cart appears to be highly compatible with all homebrew and games. Cheaper options really aren’t worth the risk of being abandoned by their developers, who seem to view every change as an opportunity to sell upgrades. Update: … and with Firmware 1.4.5, AceKard has also stopped working. Some five months after Nintendo released the updated firmware, there has still been no news from AceKard – the AK2i seems to have been abandoned.